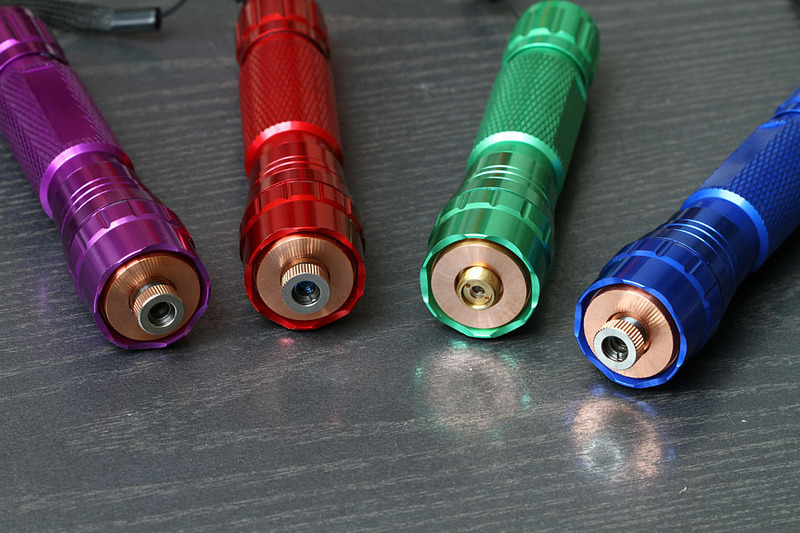 Eastern Promotion : 2Watt 445nm lasers for $150 !! I am offering lasers in the 501B casing. The 501B lasers have the copper heatsink. 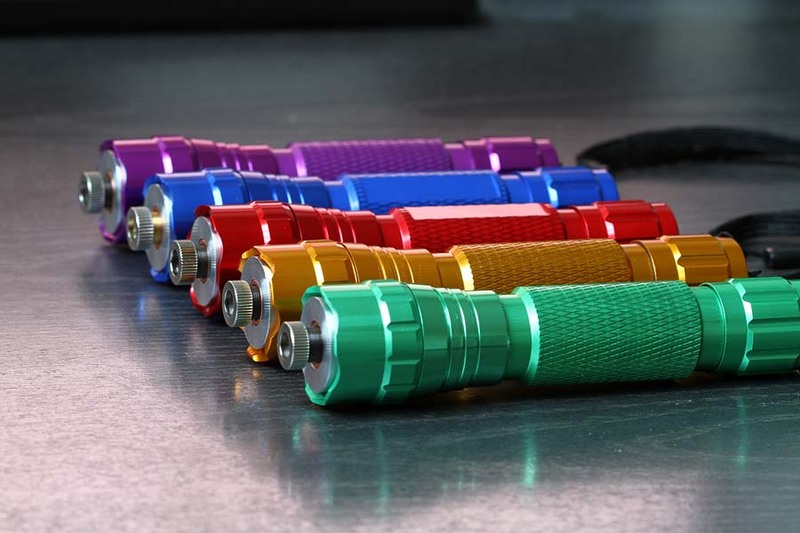 The standard color of the host is blue but black, silver, red, green, purple, yellow and camo green are also available. 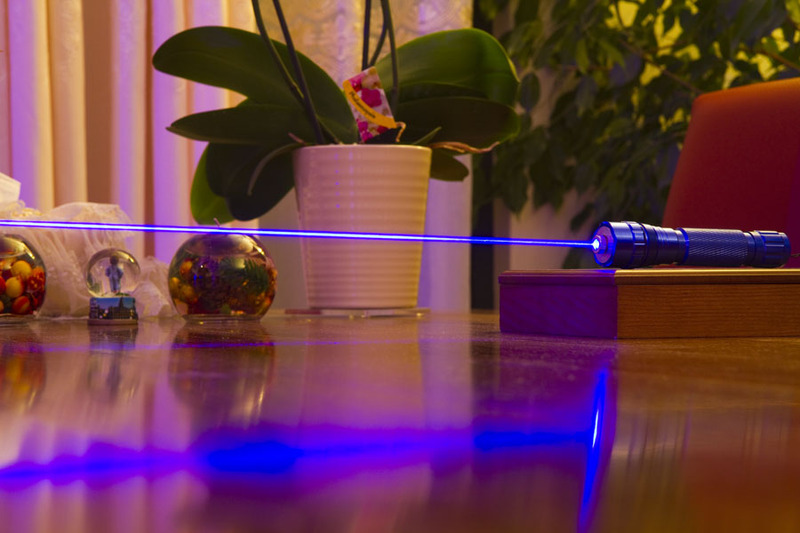 All lasers are focusable except for the green 532nm green laser. 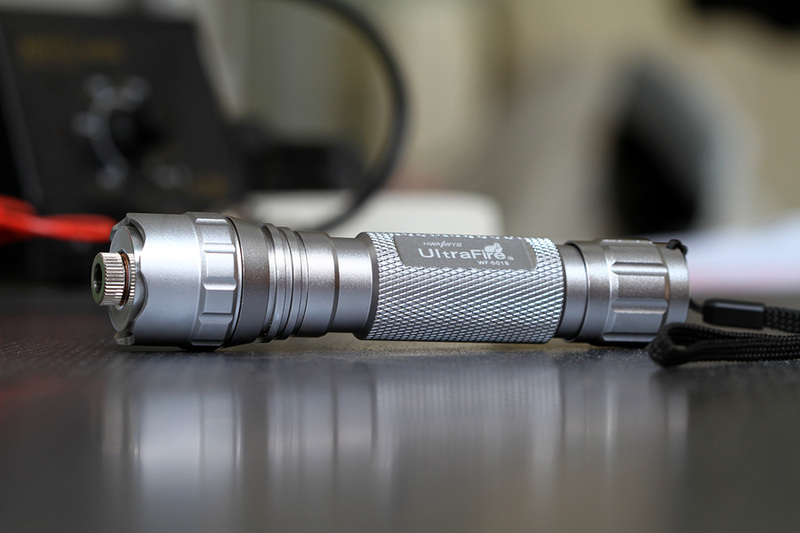 The 2.4W 445nm laser version has the 9mm laser diode instead of the 5.6mm diode. The driver is a buck driver. It has better efficiency than a linear driver. The main regulator is heatsinked for durable working. It runs on 2x 18350 or 2x16340 Li-ion rechargeable batteries or 1x 18650 batteries depending on the laserdiode.. The duty cycle is 60sec on/off for the 1W lasers and above. The lower power lasers have a much longer runtime. 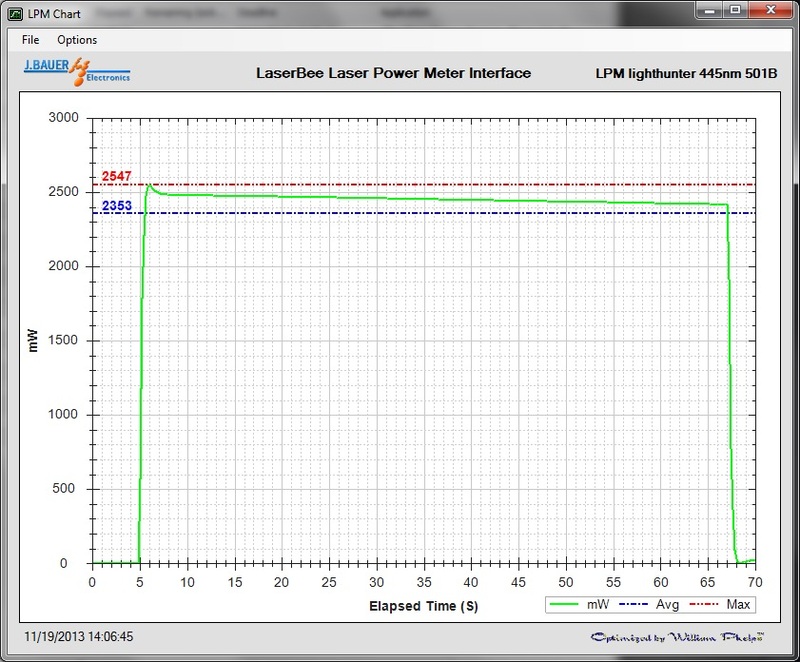 I provide for each laser a LPM graph on my 5Watt Ophir LPM. The lenscap and hand strap are included. 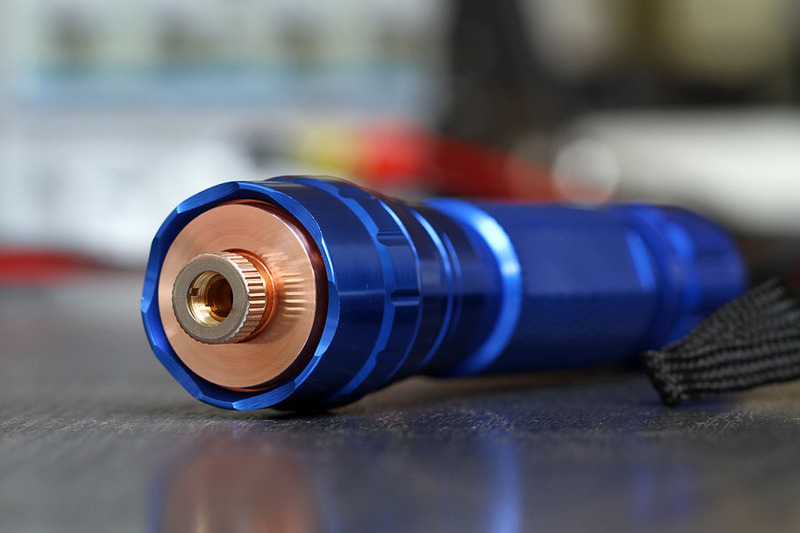 2.4+ Watt 445nm blue laser in 501B casing --> $175, G2 lens and the bigger 9mm diode. You get a tracking code so that the package never gets lost. It needs a signature for the delivery. 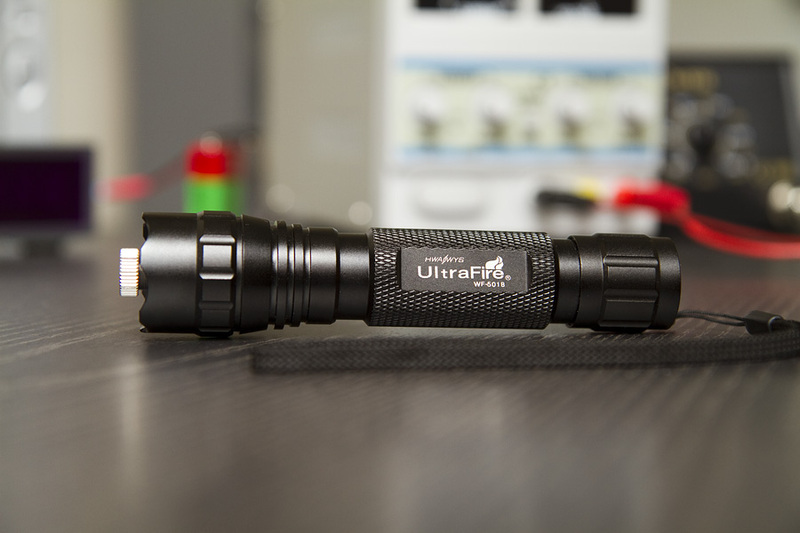 Batteries, chargers, laser goggles and larger diameter focus adapter are available at extra cost. PM if you want one or have any questions. Example LPM output of a 2.4+ Watt laser. I have other colored hosts as well and silver/black hosts. 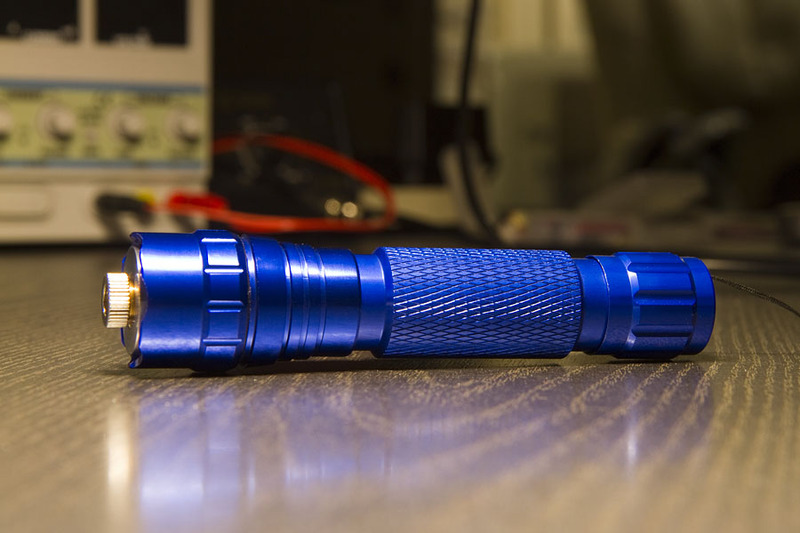 Re: For sale: 2.2W blue lasers in blue 501B host. Did your hosts come with the glass still in the host? How did you get it out? It isn't hard to get the glass window out. Get a steel pointy tool like a new screwdriver. Stick it hard in the soft retainer ring and slowly pry/turn it out. Resistance is futile, join the Borg. Euh I mean Blord. I love the way they made this host in such a way that it doesn't roll over. pm'd with more info for you. Hey, would you maybe consider a trade for a 64GB, 4th gen iPod touch? I didn't know there were a 64Gb version 4th gen iPod touch. The Apple site only mention the 32GB. Let me think about the deal. Yeah, 3rd and 4th gen both had 64gb capacity, but they don't make them anymore. Just PM me if you want to discuss it, or post here if you decide no so the other users know it's up for grabs still. Ha ha dude your crazy this one looks awesome how many lasers you got now? I bought grey one. Thanks Blord.